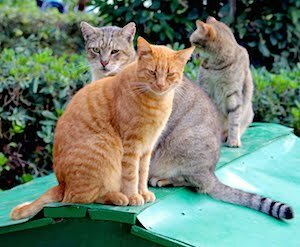 Islands of Cats: How To Identify Stray And Feral Cats, And How To Help Them Survive! 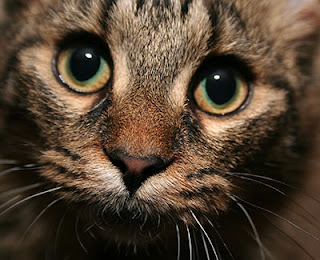 How To Identify Stray And Feral Cats, And How To Help Them Survive! TheAnimalRescueSite 2015: (As winter fast approaches, there is a greater) need for generosity and kindness toward the stray animals that populate almost every neighborhood in the country. This month we are helping to raise awareness of both stray and feral cats. The most important part is to share information on how to tell the difference between the two, and how you can help protect them over the coming months. The most common misconception with strays and feral cats is that they are “wild” animals. Feral and stray cats are both domestic animals, although stray cats are socialized to be near people and are typically the product of abandonment or getting lost and separated from their homes. Feral cats are cats that have had little to no contact with humans and act accordingly. They have strong family bonds and live..read on for full comparison.